Aravinda Sametha that has released with massive expectations with the premiers on 10th of October has become NTR's highest grosser in US surpassing Nannaku Prematho. The film has made an exceptional collection of $29,019 from 107 locations in the US. 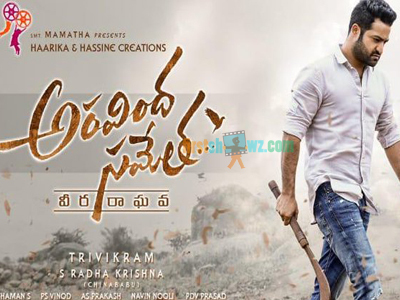 Aravindha Sametha’s latest US gross totals to $2,111,818 (Rs 15.49 crores). The film joins Tollywood All time Top 10 movies in US, while the other films in the Top 10 List include Baahubali: The Beginning, Baahubali: The Conclusion, Rangasthalam, Bharath Ane Nenu, Geetha Govindam, Srimanthudu, Khaidi No.150, Mahanati. Aravinda Sametha Veera Raghava casting Pooja Hegde as female lead is directed by Trivikram Srinivas and produced by Haarika and Hassine Creations. Thaman is music director for ASVR movie.